I still sometimes hear Contact Centre leaders in 2019 say that their senior or functional management doesn’t support their Centre. If you work at a cult status company like Zappos you’re clearly fortunate. Your high level of Customer Experience (CX) ambition is aligned to and reinforces that of your company. But what if you’re the Centre Manager in a company where your purpose isn’t seen as mission-critical? Where management doesn’t meaningfully embrace Customer centricity. Sure – you can’t control the level of CX ambition in your company. 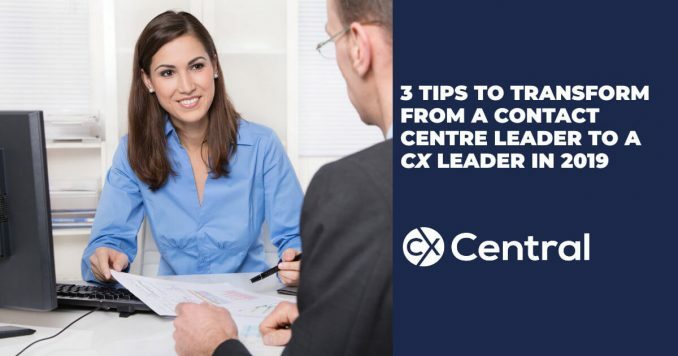 But go ahead and pursue your personal CX ambitions – even if they don’t align to the current CX ambitions of your company. Don’t settle for becoming an outcome of your culture. Consider yourself a driver of your culture. Not every company decides to pursue a CX strategy. At the end of the day, it’s a business decision. And don’t let the false use of lingo in companies fool you. Rebranding everything as ‘Customer Experience’ when it used to be called ‘Customer Service’ doesn’t make it so. If your company has a defined Customer Experience (CX) Vision in place, life is good. You’re in a great position to align your quality program & performance standards to that vision. The company vision, mission and values can often be found there. What’s your purpose? Who are your intended Customers? What role do you play in their lives? When anyone asks your Contact Centre Agent what kind of service they deliver around here – they can tell you. And specifically how they apply the vision & principles to their daily interactions. Then within that ecosystem, you have the Customer Service function – most easily viewed as the human to human interactions Customers have with you. And within the Customer Service function, you have the Contact Centre. Of course, I could have had 13 suggestions – or 5 suggestions or 11 and so on.